Zhrnutie poznatkov o používaní koenzýmu Q10, karnitínu, omega-3 a omega-6 mastných kyselín, vitamínov pri rôznych typoch chorôb bolo publikované v monografii Mitochondrial Medicine , ed. Anna Gvozdjáková, vydavateľ Springer, Netherlands. 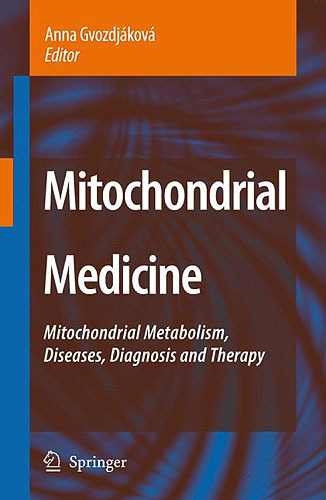 Mitochondrial Medicine, ed. Anna Gvozdjáková, Springer, 2008, pp.411(book). Gvozdjáková A.: Mitochondrial physiology. In Mitochondrial Medicine, ed. A.Gvozdjáková, Springer 2008:1-17. Gvozdjáková A.: Mitochondrial free radicals and antioxidants. In: Mitochondrial Medicine, ed. A. Gvozdjáková, Springer, 2008: 50-54. Halberg F., Cornélissen G., Singh RB, Gvozdjáková A., Otsuka K., Beaty L., Katinas G, Hermida R., Ayala D., Czaplicki J.: Chronobiology, chronomics and N-of-1t tests of timing coenyzme Q10. In: Mitochondrial Medicine, ed. A. Gvozdjáková, Springer, 2008: 55-92. Gvozdjáková A.: Mitochondrial Medicine. In: Mitochondrial Medicine, ed. A. Gvozdjáková, Springer, 2008: 103-113. Gvozdjáková A.: Mitochondria of human transplanted heart. In: Mitochondrial Medicine, ed. A. Gvozdjáková, Springer, 2008: 125-128. Gvozdjáková A.: Mitochondrial function in diabetes. In: Mitochondrial Medicine, ed. A. Gvozdjáková, Springer, 2008: 148-150. Mikulecký M., Gvozdjáková A., Kucharská J., Singh RB: Circa(semi)dian periodicity of coenzyme „Q10-CLOCK“ and cascade of oxidative phosphorylation in control and diabetic rat heart mitochondria. In: Mitochondrial Medicine, ed. A. Gvozdjáková, Springer, 2008: 151-160. Gvozdjáková A.: Mitochondrial „spermatopathy“. In: Mitochondrial Medicine, ed. A. Gvozdjáková, Springer, 2008: 263-266. 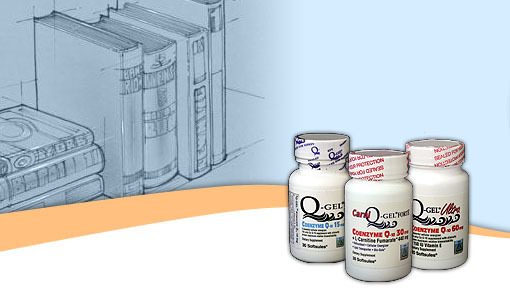 Gvozdjáková A.: Coenzyme Q10 supplementation in clinical medicine. In: Mitochondrial Medicine, ed. A. Gvozdjáková, Springer, 2008: 323. Hlavatá A., Kucharská J, Gvozdjáková A.: Coenyzme Q10 supplementation in children with metabolic diseases. In: Mitochondrial Medicine, ed. A. Gvozdjáková, Springer, 2008: 323-324. Gvozdjáková A., Kucharská J.: Coenyzme Q10 supplementation in preclinical study and in patients with nephropathies. In: Mitochondrial Medicine, ed. A. Gvozdjáková, Springer, 2008: 323-327. Gvozdjáková A.: Coenzyme Q10 supplementation in patients with bronchial asthma. In: Mitochondrial Medicine, ed. A. Gvozdjáková, Springer, 2008: 328-329. Gvozdjáková A., Palacka P, Kucharská J, Murín J.: Coenzyme Q10 and ?-lipoic acid effect in patients with diabetic cardiomyopathy. In: Mitochondrial Medicine, ed. A. Gvozdjáková, Springer, 2008: 330-333. Gvozdjáková A.: Coenzyme Q10 supplementation in experimental medicine. In: Mitochondrial Medicine, ed. A. Gvozdjáková, Springer, 2008: 335. Horecký J., Vančová O., Kucharská J, Gvozdjáková A. Coenzyme Q10 supplementation in mitochondrial Alzheimer´s disease (experimental model). In: Mitochondrial Medicine, ed. A. Gvozdjáková, Springer, 2008: 335-337. Gvozdjáková A.: Coenzyme Q10 supplementation in mitochondrial Huntington´s diseases (experimental model). In: Mitochondrial Medicine, ed. A. Gvozdjáková, Springer, 2008: 338-339. Bauerová K., Kucharská J., Poništ S., Gvozdjáková A. Coenzyme Q10 supplementation in adjuvant arthritis (experimental model). In: Mitochondrial Medicine, ed. A. Gvozdjáková, Springer, 2008: 340-342. Gvozdjáková A., Pella D, Kucharská J, Otsuka K, Singh RB. : Omega-3-PUFA, omega-6-PUFA and mitochondria. In: Mitochondrial Medicine, ed. A. Gvozdjáková, Springer, 2008: 343-356. Gvozdjáková A.: Carnitine. In: Mitochondrial Medicine, ed. A. Gvozdjáková, Springer, 2008: 357-360. Gvozdjáková A., Kucharská J, Lepieš P.: Carnitine and coenzyme Q10 supplementation in male infertility. In: Mitochondrial Medicine, ed. A. Gvozdjáková, Springer, 2008: 360-362. Gvozdjáková A. Kucharská J: Simultaneous effect of L-carnitine and ?-6-PUFA supplementation in human obesity and in experimental medicine. In: Mitochondrial Medicine, ed. A. Gvozdjáková, Springer, 2008: 363-366. Gvozdjáková A. Kucharská J, Pálinkáš J: Polarized light and CoQ10 effect in mitochondria (pre-clinical study). In: Mitochondrial Medicine, ed. A. Gvozdjáková, Springer, 2008: 396-398. Palacka P., Murín J., Gvozdjáková A.: Mechanizmy poškodenia myokardu u diabetikov. Cardiol., 2008,17(3): 109-114. Kucharská J., A. Gvozdjáková, Šimko F.: Simvastatin decreases coenzyme Q in the left ventricle and skeletal muscle but not in the brain and liver in L-NAME-induced hypertension. Physiol Res, 2007, 56, suppl. 2:S49- S54. A. Gvozdjáková, Palacka P., Kucharská J., Okkelová A., Murín J.: Effect of coenzyme Q10, a-lipoic acid and vitamin E in patients with diabetic cardiomyopathy. Fifth Conference of the International Coenzyme Q10 Association, November 9-12, 2007, Kobe, Japan, Abstract book, JP-051, 2007:174-176. A. Gvozdjáková, Vančová O., Kucharská J., Horecký J.: Coenzyme Q10 supplementation in an experimental model of Alzheimer´s disease. Fifth Conference of the International Coenzyme Q10 Association, November 9-12, 2007, Kobe, Japan Abstract book, JP-052, 2007:177-179. A. Gvozdjáková, Kucharská J., Poništ S., Bauerová K.: Coenzyme Q10 supplementation in an experimental model of Adjuvant Arthiritis. Fifth Conference of the International Coenzyme Q10 Association, November 9-12, 2007, Kobe, Japan Abstract book, JP- 053, 2007:180-181. Palacka P., Kucharská J., Okkelová A., Murín J., A. Gvozdjáková: Účinok koenzýmu Q10 a alfa-lipoovej kyseliny u pacientov s diabetickou kardiomyopatiou. XII.Kongres Slovenskej Kardiologickej Spoločnosti, Október 4. – 6. 2007, Bratislava, Slovakia. Cardiol, 2007, 16 (Suppl.1), 25S. Palacka P., Kucharská J., Okkelová A., Murín J., A. Gvozdjáková: Effect of coenzyme Q10, a-lipoic acid and vitamin E in patients with diabetic cardiomyopathy. International Conference Vitamins 2007, September 19- 21, Prague, Czech Republic, Abstract book, P48, 2007. Horecký J., Vančová O., Kucharská J., A. Gvozdjáková: Preventive and therapeutic effect of coenzyme Q10 on brain mitochondrial dysfunction in rats exposed to acute ischemia-reperfusion injury. International Conference Vitamins 2007, September 19-21, Prague, Czech Republic, Abstract Book, P05, 2007, s.114- 116. Gvozdjáková A.: Prečo odporúčame doplnkovú liečbu koenzýmom Q10? Mechanizmy účinku koenzýmu Q10 (1.Časť). Revue Medicíny v praxi, 4/1, 2006: 5-7. Gvozdjáková A.: Prečo odporúčame doplnkovú liečbu koenzýmom Q10? Mitochondriálna Medicína a koenzým Q10 (2. Časť). Revue Medicíny v praxi, 4/2, 2006: 5-7. Gvozdjáková A.: Prečo odporúčame doplnkovú liečbu koenzýmom Q10 a karnitínom pri poruche plodnosti? (3. Časť). Revue Medicíny v praxi, 4/3, 2006: 5-7. Gvozdjáková A., Kucharská J., Bartkovjaková M., Gazdíková K., Gazdík F.: Coenzyme Q10 supplementation reduces corticosteroid dosage in patients with bronchial asthma. Fourth Conference of the International Coenzyme Q10 Association, April 14 – 17, 2005, Los Angeles, USA, Abstr. book, 108-109. Gvozdjáková A., Kucharská J., Palacka P., Miková N., Sumbalová Z., Singh R.B. : Synergistic effect of conjugated linoleic acid and L-carnitine in body fat reduction and mitochondrial coenzyme Q content in relationship to energy production. Fourth Conference of the International Coenzyme Q10 Association, April 14 – 17, 2005, Los Angeles, USA, Abstr. book, 110 – 112. Gvozdjáková A., Kucharská J., Cornelissen G., Mikulecký M., Singh RB., Halberg F.: Circadian and semicircadian variations of heart mitochondrial coenzyme Q in relationship to oxidative phosphorylation. Fourth Conference of the International Coenzyme Q10 Association, April 14 – 17, 2005, Los Angeles, USA, Abstr. book, 113 – 115. Kucharská J., Gvozdjáková A., Sumbalová Z., Mihalová D., Bauerová K.: Can coenzyme Q10 supplementation protect heart and skeletal muscle mitochondrial function and antioxidants dysbalance in adjuvant arthritis Fourth Conference of the International Coenzyme Q10 Association, April 14 – 17, 2005, Los Angeles, USA, Abstr. book, 125 – 127. Kucharská J., Sumbalová Z., Bada V., Gvozdjáková A.: Plasma coenzyme Q10 concentrations in Slovak patients: Correlations to alpha-tocopherol and lipoperoxidation Fourth Conference of the International Coenzyme Q10 Association, April 14 – 17, 2005, Los Angeles, USA, Abstr. book, 128 – 129. Gvozdjáková A., Kucharská J., Sumbalová Z., Uličná O., Vančová O., Božek P., Singh RB. : Coenzyme Q10 and ?-3-polyunsaturated fatty acids protect heart and brain mitochondria in control and diabetic rats. Mitochondrial Medicine Meeting, St. Louis, USA, June 15-18, 2005 Abstracts, Mitochondrion, vol. 5/3, 2005: 225. Gvozdjáková A.Kucharská J., Geyer I., Sumbalová Z., Božek P., Pálinkáš J.: Polarized light stimulates endogenous coenzyme Q, a-tocopherol plasma level and improves mitochondrial function. Mitochondrial Medicine Meeting, St. Louis,USA, June 15-18, 2005 Abstracts, Mitochondrion, vol. 5/3, 2005: 226. Gvozdjáková A.: Pathobiochemical mechanisms of coenzyme Q10 effects on subcellular level (review) VITAMINS 2005 - Targeted nutritional therapy, September 14-15, 2005, Pardubice, Czech Republic, Abstract book, 48-49. Gvozdjáková A., Kucharská J., Cornelissen G., Mikulecký M., Singh R.B., Halberg F.: Heart mitochondrial coenzyme „Q10-CLOCK“ and variations of oxidative phosphorylation in diabetic rats VITAMINS 2005 - Targeted nutritional therapy, September 14-15, 2005, Pardubice, Czech Republic, Abstract book, 115-116. Gvozdjáková A., Kucharská J., Geyer I., Sumbalová Z., Božek P., Krucký K., Pálinkáš J.: Polarized light stimulates coenzyme Q, alpha-tocopherol plasme level and improves mitochondrial function VITAMINS 2005 - Targeted nutritional therapy, September 14-15, 2005, Pardubice, Czech Republic, Abstract book, 117-118. Gvozdjáková A., Kucharská J., Bhagavan H., Sumbalová Z., Singh R.B., Chopra R.K.: Effect of omega-6-polyunsaturated fatty acid and L-carnitine in body fat reduction and stimulation of coenzyme Q production and mitochondrial function VITAMINS 2005 - Targeted nutritional therapy, September 14-15, 2005, Pardubice, Czech Republic, Abstract book, 119-122. Gvozdjáková A., Kucharská J., Sumbalová Z., Uličná O., Vančová O., Božek P., Singh R.B. : Protective effect of coenzyme Q10 and omega-3-polyunsaturated fatty acids on heart and brain mitochondria in diabetic rats VITAMINS 2005 - Targeted nutritional therapy, September 14-15, 2005, Pardubice, Czech Republic, Abstract book, 123-124. Kucharská J., Gvozdjáková A., Matušková J., Ľupták I., Krajčirovičová K., Šimko F.: Adverse effects of simvastatin treatment in experimental model of hypertension: decreased heart and skeletal muscle coenzyme Q concentrations VITAMINS 2005 - Targeted nutritional therapy, September 14-15, 2005, Pardubice, Czech Republic, Abstract book, 109-110. Kucharská J., Uličná O., Vančová O., Gvozdjáková A., Božek P., Greksák M.: Antioxidant effects of rooibos tea (Aspalathus Linearis) administration in experimental diabetes mellitus VITAMINS 2005 - Targeted nutritional therapy, September 14-15, 2005, Pardubice, Czech Republic, Abstract book, 111-112. Cornélissen G., Halberg F., Schwartzkopf O., Gvozdjáková A., Siegelová J., Fišer B., Dusek J., Mifková L., Chopra R.K., Singh R.B. : Coenzyme Q10 effect on blood pressure variability assessed with a chronobiological study design Noninvasive Methods in Cardiology, September 14th, 2005, Brno, Czech Republic, Abstract book, s. 10. Gvozdjáková A., Kucharská J., Cornélissen G., Singh R.B., Mikulecký M., Siegelová J., Fišer B., Dusek J., Halberg F.: Coenzyme Q10 and the circadian system of cardiac oxidative phosphorylation Noninvasive Methods in Cardiology, September 14th, 2005, Brno, Czech Republic, Abstract book, 24. Proceedings of the III World Congress on Immunopathology and Respiratory Allergy, Pattaya, Thailand, February 5-8, 2005. Gazdík F., Gvozdjáková A., Kucharská J., Jashnová E., Gazdíková K.: Coenzyme Q10 supplementary therapy decreased corticoids consumption in patients with bronchial asthma. International Journal of immunorehabilitation, 7/1, 2005 : 43-44. Proceedings of the III World Congress on Immunopathology and Respiratory Allergy, Pattaya, Thailand, February 5-8, 2005. Gvozdjáková A., Kucharská J., Bartkovjaková M., Gazdíková K., Gazdík F.: Coenzyme Q10 supplementation reduces corticosteroids dosage in patients with bronchial asthma. Biofactors, 25(1-4), 2005: 235-240. Sumbalová Z., Kucharská J., Kašparová S., Mlynárik V., Bystrický P., Božek P., Uličná O., Vančová O., Singh R.B., Gvozdjáková A.: Brain energy metabolism in experimental chronic diabetes: effect of long-term administration of coenzyme Q10 and omega-3-polyunsaturated fatty acids Biologia, 60, suppl. 17,, 2005: 105-108. Šimko F., Ľupták I., Matúšková J., Sumbalová Z., Kucharská J., Gvozdjáková A., Šimko J., Babál P., Pecháňová O., Bernátová I.: L-arginine fails to protect against remodellinng in L-NAME-induced hypertension. Europ J Clin Invest., 35, 2005: 362-368. Bauerová K., Kucharská J., Mihalová D., Navarová J., Gvozdjáková A., Sumbalová Z.: Effect of coenzyme Q10 supplementation in the rat model of adjuvant arthritis. Biomedical Papers, 149/2, 2005: 501-503. 10. Interdisciplinary Czech and Slovak Toxicological Conference, Olomouc, 2005. Kašparová S., Sumbalová Z., Horecký J., Bystrický P., Mlynárik V., Gvozdjáková A., Liptaj T.: New magnetic resonance spectroscopy biomarker for monitoring neurodegenerative diseases: animal model. Biomed Papers, 149/2, 2005: 373-376. 10. Interdisciplinary Czech and Slovak Toxicological Conference, Olomouc, 2005. Gvozdjáková A., Kucharská J., Tanaka S., Neradová B., Bauerová K.: Coenzyme Q10 supplementation differently modulates heart and skeletal mitochondrial function induced by adjuvant arthritis. Mitochondrial Medicine 2004 Meeting, Pittsburgh, USA, August 4-7, 2004 Abstracts, Mitochondrion, vol. 4, 2004:20-21. Gvozdjáková A., Kucharská J., Cornélissen G., Mikulecký M., Singh R.B., Halberg F.: Variations in cardiac mitochondrial coenzyme Q10 and oxidative phosphorylation. 3rd International Congress on Cardiovasular Disease, Taipei, Taiwan, November 26-28, 2004. Int. J. Cardiol., 97/2, 2004: S15. Gvozdjáková A.: Mitochondrial Medicine and Coenzyme Q10 (Review). 4th International Conference VITAMINS 2004, September 13-15, 2004, Pardubice, Czech Republic. Abstract book, 38-41. Kucharská J., Sumbalová Z., Bada V., Gvozdjáková A.: Relation between coenzyme Q10, alpha-tocopherol and oxidative stress in patients with cardiovascular diseases and diabetes. 4th International Conference VITAMINS 2004, September 13-15, 2004,Pardubice, Czech Republic. Abstract book, 42-43. Mikla F., Kucharská J., Kozlíková K., Murín J., Povinec P., Kasoper J., Papinčák J., Mikeš P., Gvozdjáková A.: The effect of coenzyme Q10 in patients with chronic heart failure. 4th International Conference VITAMINS 2004, September 13-15, 2004, Pardubice, Czech Republic. Abstract book, 44-45. Gazdíková K., Gvozdjáková A., Kucharská J., Spustová V., Dzúrik R.: The effect of coenzyme Q10 in patients with nephropathies. 4th International Conference VITAMINS 2004, September 13-15, 2004,Pardubice, Czech Republic. Abstract book, 46-47. Hlavatá A., Gvozdjáková A., Kucharská J., Kapellerová A.: Effect of coenzyme Q10 in children with metabolic diseases. 4th International Conference VITAMINS 2004, September 13-15, 2004,Pardubice, Czech Republic. Abstract book, 50-51. Gazdík F., Gvozdjáková A., Kucharská J., Gazdáková K., Bartkovjaková M.: Supplementation of coenzyme Q10 in patients with cortico-dependent bronchial asthma. 4th International Conference VITAMINS 2004, September 13-15, 2004, Pardubice, Czech Republic. Abstract book, 48-49. Šimko F., Matušková J., Lupták I., Krajčovičová K., Kucharská J., Gvozdjáková A., Babál P., Pecháňová O.: Effect of simvastatin on remodeling of the left ventricle and aorta in L-NAME-induced hypertension. Life Sci, 74, 2004: 1211 –1224. Gvozdjáková A.: Mitochondriálna medicína – nová vedná disciplína ? Slovenský lekár, 7-8, 2004: 195-198. Gvozdjáková A., Kucharská J.: Kardiológia, koenzým Q10 a statíny. Cardiol., 2003, 12:K/C: 43-44. Gvozdjáková A., Kucharská J.: Koenzým Q10 a statíny. Interná medicína, 3, 2003: 192-193. Gvozdjáková A.: Koenzým Q10 a karnitín. III. Časť. Sanitas 1, 2003: 12. Gvozdjáková A.: Koenzým Q10 a statíny. IV. Časť. Sanitas 2, 2003: 12. Gvozdjáková A.: Mitochondriálna medicína a koenzým Q10. Sanitas 3, 2003:14-15. Gvozdjáková A.: Oxidačný stres a koenzým Q10. Sanitas 4, 2003: 16. Gvozdjáková A., Kucharská J., Sumbalová Z., Zausková P., Mlynárik V., Bystrický P., Uličná O., Vančová O., Singh R. B.: Can coenzyme Q10 and omega-3 fatty acids protect damaged function of brain and heart mitochondria in diabetic rats ? Third Conference of the International Coenzyme Q10 Association, Abstracts book, 2002: 109 – 111. Gazdík F., Gvozdjáková A., Jahnová E., Horváthová M., Wiessová S., Kucharská J., Gazdíková K.: Coenzyme Q10 – potential candidate for supplementation in asthmatics. Third Conference of the International Coenzyme Q10 Association, Abstracts book, 2002: 107 – 108. Kucharská J., Bauerová K., Sumbalová Z., Neradová B., Gvozdjáková A.: New methodology in efficiency testing of antirheumatics based on determination of mitochondrial function and coenzyme Q9 level in skeletal muscle of arthritic rats. Third Conference of the International Coenzyme Q10 Association, Abstracts book, 2002: 136 – 137. Kucharská J., Uličná O., Božek P., Gvozdjáková A., Sumbalová Z., Vančová O., Greksák M.: Regeneration of reduced coenzyme Q9 and inhibition of oxidative stress in liver cirrhosis by natural antioxidants in rooibos tea. Third Conference of the International Coenzyme Q10 Association, Abstracts book, 2002: 133 – 135. Sumbalová Z., Kašparová S., Bystrický P., Kucharská J., Mlynárik V., Gvozdjáková A.: Effect of coenzyme Q10 and vitamin E on brain and skeletal muscle energy metabolism in animal model of Huntington´s disease. Third Conference of the International Coenzyme Q10 Association, Abstracts book, 2002: 193 – 195. Gvozdjáková A., Kucharská J, Mikla F., Sumbalová Z., Zausková P., Bada V., Murín J.: Exogenous coenzyme Q10 stimulates its level and mitochondrial energy production in ageing. In: Cardiovasular Diseases 2002, Eds. Moduzzi Editore, International Proceedings Division, 2002 : 259 – 262. Kucharská J., Gvozdjáková A., Dulková K., Sumbalová Z., Bada V.: Decreased coenzyme Q10 level in patients with heart failure dependent on NYHA functional classification. In: Cardiovasular Diseases 2002, Eds. Moduzzi Editore, International Proceedings Division, 2002 : 267 – 270. 27th World Congress on vine and wine and 82th General Assambly of the International Office of vine and wine Bratislava, 24.- 28. jún 2002. Gvozdjáková A., Kucharská J., Sumbalová Z., Pecháňová O., Batusic D.I., Schraber I., Leitner G., Pavelka M., Slezák J.: Antioxidant compounds in wine and protective effect of provinol on mitochondrial coenzyme Q and ATP production in hypertension. Congress Proceedings, 27th World Congress on vine and wine and 82th General Assambly of the International Office of vine and wine, Bratislava, 24.- 28. jún 2002: 1-13. Gazdík F., Gvozdjáková A., Kucharská J., Nádvorníková R., Repická L., Jahnová E.,., Piják M.R., Gazdíková K.: Decreased levels of coenzyme Q10 in patients with bronchial asthma. Allergy, 2002, 57 : 811 – 814. Gazdíková K., Gvozdjáková A., Kucharská J., Spustová V., Braunová Z., Dzúrik R.: Oxidative stress and plasma concentrations of coenzyme Q10, alpha-tocopherol, and beta-carotene in patients with a mild to moderate decrease kidney function. Nephron, 2002, 88 : 285. Gvozdjáková A., Kucharská J., Braunová Z.: Stimulation of brain, and skeletal muscle mitochondrial oxidative phosphorylation in aged rats after hydrosoluble coenzyme Q10 treatment. Mitochondrion, 1, 2001: 87-116. Gvozdjáková A., Kucharská J., Braunová Z.: Stimulation of brain, and skeletal muscle mitochondrial oxidative phosphorylation in aged rats after hydrosoluble coenzyme Q10 treatment. Mitochondria 2001, San Diego, Abstracts book, 128 - 129, 2001. Gvozdjáková A., Kucharská J., Sumbalová Z., Fabián J., Pecháň I., Murín J., Jerguš P., Voržáková M.: Coenzyme Q10 treatment increase its level, stimulate myocardial and mitochondrial bioenergy function ageing. XVII World Congress International Society for Heart Rresearch, Winnipeg, Canada Abstracts, J. Mol. Cell. Cardiol., 33: A43, 2001. R.B.Singh, A. Weydahl, K. Otsuka, Y. Watanabe, S. Yano, H. Mori, Z. Schimaru, G. Mitsuke, Y. Sato, L. Fanghong, Z.Y. Zhao, C. Karlik, A. Gvozdjáková: Can nutrition influence circadian rhythm and heart rate variability ? Biomed. Pharmacother., 2001, 55 : 115 – 124. Gazdíková K., Gvozdjáková A., Kucharská J., Spustová V., Braunová Z., Dzúrik R.: Účinok koenzýmu Q10 u pacientov s ochorením obličiek. Čas. lék. čes., 140: 307 - 310, 2001. Gazdíková K., Gvozdjáková A., Kucharská J., Dzúrik R.: Vplyv vybraných antioxidantov na lipidové parametre u konzervatívne liečených pacientov s chorobami obličiek. Aktuality v nefrológii, 7: 10 - 13, 2001. Gvozdjáková A., Kucharská J., Braunová Z., Fabián J., Pecháň I., Bada V., Dulková K., Kolesár P., Mikla F., Dzúrik R., Gazdíková K., Reichrtová E., Kajglová A., Hlavatá A., Kapellerová E., Styk J., Kajaba J., Vojtaššák J., Makai F., Lepiéš P., Malatinský E., Malý M., Jerguš P., Borovičová F., Kvetňanský R., Vigaš M., Gvozdják J.: Coenzyme Q10 level in health and disease (Multicenter Slovak Study). Second Conference of the International Coenzyme Q10 Association, Abstracts book: 2000: 108-110. Gvozdjáková A., Gazdíková K., Kucharská J., Spustová V., Braunová Z., Dzúrik R.: Deficit coenzyme Q10 in patients with nephropathies and beneficial effect of supplementary therapy with coenzyme Q10. Second Conference of the International Coenzyme Q10 Association, Abstracts book: 2000: 111 -112. Gvozdjáková A., Kucharská J., Mikla F., Murín J., Povinec P., Kasper J., Papinčák J., Mikeš P., Kozlíková K.: The effect coenzyme Q10 in patients with chronic heart failure. Second Conference of the International Coenzyme Q10 Association, Abstracts book: 2000: 113-114. Gvozdjáková A., Gazdíková K., Kucharská J., Spustova V., Braunová Z., Dzúrik R.: The effect of coenzyme Q10 in patients with nephropathies. J. Amer. Coll. Nutr., 19/5, Abstr., 132, 2000. Gvozdjáková A., Kucharská J., Hlavatá A., Braunová Z., Reichrtová E., Kajglová A., Kapellerová A.: Effect of coenzyme Q10 in children with metabolic diseases. J. Amer. Coll. Nutr., 19/5, Abstr., 117, 2000. (Price award). Gvozdjáková A., Kucharská A., Braunová Z.: The effect of coenzyme Q10 and ethanol on some risk factors cardiovascular disease. VI. zjazd SKS s medzinárodnou účasťou. Cardiol., 9(Suppl.2): p. 10S, 2000. Braunová Z., Kašparová S., Mlynárik V., Mieriová Š., Liptaj T., Tkáč I., Gvozdjáková A.: Metabolic changes in rat brain after prolonged ethanol consumption measured by 1H and 31P MRS experiments. Cell Molec Biol., 2000, 20/6: 703 – 715. Kašparová S., Dobrota D., Mlynárik V., Pham T.N., Liptaj T., Horecký J., Braunová Z., Gvozdjáková A.: A study of creatine kinase reaction in rat brain under chronic pathological conditions – Chronic ischemia and ethanol intoxication. Brain Res Bull, 2000, 53/4 : 431 – 435. Kucharská J., Braunová Z., Uličná O., Zlatoš L., Gvozdjáková A.: Deficit of coenzyme Q in heart and liver mitochondria of rats with streptozotocin - induced diabetes. Physiol. Res., 2000, 49: 411 – 418. Torok J., Gvozdjáková A., Kucharská J., Balažovjech I., Kyselá S., Šimko F.,Gvozdják J.: Passive smoking impairs endothelin - dependent relaxation of isolated rabbit arteries. Physiol. Res., 2000, 49: 135 - 141. Štefek M., Sotníková R., Okruhlicová L., Volkovová K., Kucharská J., Gajdošík A., Gajdošíková A., Mihálová D., Hozová R., Tribulová N., Gvozdjáková A.: Effect of dietary supplementation with the pyridoindole antioxidant stobadine on antioxidant state and ultrastructure of diabetic rat myocardium. Acta Diabetol. 2000, 37: 111 – 117. Gvozdjáková A., Kucharská J., Mizera S., Braunová Z., Schreinerová Z., Schrameková E., Pecháň I., Fabián J.: Coenzyme Q10 depletion and mitochondrial energy disturbances in rejection development in patients after heart transplantation. BioFactors 9, 1999: 301-306. The First Conference of the International Coenzyme Q10 Association, Boston, USA, May 21-24, 1998, lecture. Gvozdjáková A., Kucharská J., Lepiéš P., Braunová Z., Malatinský E.: Decreased level of sperm coenzyme Q10, mitochondrial respiration and energy production in infertile patients. Therapeutic effect of coenzyme Q10 (A pilot study). The First Conference of the International Coenzyme Q10 Association, Boston, USA, May 21-24, 1998, Abstract book: 137 – 138. Gvozdjáková A., Kucharská J., Kyselovič J., Braunová Z., Šimko F.: Captopril increased the left ventricular mitochondrial coenzyme Q10 level, respiratory chain and energy production in rabbits with smoke mitochondrial cardiomyopathy. The First Conference of the International Coenzyme Q10 Association, Boston, USA, May 21-24, 1998, Abstract book: 139 – 140. Gvozdjáková A., Kucharská J., Braunová Z., Kolesár P.: Beneficial effect of CoQ10 on the antioxidative status and metabolism of fats and sugars in diabetic patients. The First Conference of the International Coenzyme Q10 Association, Boston, USA, May 21-24, 1998, Abstract book: 95-97. Gvozdjáková A., Kucharská J., Braunová Z., Ďurišin P., Minárik E.: Is plastoquinone10 an antioxidant marker of red wines ? The First Conference of the International Coenzyme Q10 Association, Boston, USA, May 21-24, 1998, Abstract book: 147 – 149. Kucharská J., Gvozdjáková A., Braunová Z., Uličná O.: Deficit of coenzyme Q homologues in mitochondrial diabetic cardiomyopathy development: an experimental study. The First Conference of the International Coenzyme Q10 Association, Boston, USA, May 21-24, 1998, Abstract book: 141 – 142. Kucharská J., Gvozdjáková A., Mizera S., Braunivá Z., Schreinerová Z., Schrameková E., Pecháň I., Fabián J.: Coenzyme Q10 depletion in rejection episodes in patients after heart transplantation. The First Conference of the International Coenzyme Q10 Association, Boston, USA, May 21-24, 1998, Abstract book: 61-63. Gvozdjáková A., Šimko F., Kucharská J., Braunová Z., Pšenek P., Kyselovič J.: Captopril increased mitochondrial coenzyme Q10 level, improved respiratory chain function and energy production in the lest ventricle in rabbits with smoke mitochondrial cardiomyopathy. BioFactors 10, 1999: 61-65.